The annual Korea Musical Awards on Thursday announced the nominees in major categories including best musical, best leading and supporting actors and actresses and best music. Operators of the KMA on Thursday held a press conference to reveal the nominees and details of the upcoming ceremony, set for 7 p.m. on Jan.14 at Blue Square in Yongsan, central Seoul. Last year, “Ben-Hur” took home the award for best musical, while the trophies for best actor and actress went to Hong Kwang-ho and Jeon Mi-do, respectively. Vying for best actor are Kang Pil-suk, Park Eun-tae, Park Hyo-shin, Choi Jae-rim and Cho Seung-woo, who is considered a leading figure on the big screen as well as the stage. Singer-turned-musical actress Ivy is in the competition for best actress, along with last year’s winner Jeon Mi-do, Jung Young-joo and Cha Ji-yeon. Nominees for best new actors and actresses -- awarded to those who debuted after Jan. 1, 2016, either in leading or supporting roles, include a couple of K-pop stars: Suho of EXO and Haena of girl group Matilda. Suho of the popular boy band performs alongside Korean singing legend Park Hyo-shin. The KMA also awards the best ensemble, candidates for which are “Red Book,” “Matilda,” “Hourglass,” “Billy Elliot” and “Chicago.” Other categories include best producer, best script among new musicals, best music, best choreography and best directing. Voter groups of 100 experts and 100 fans will choose the winners, with the experts’ votes weighted to account for 80 percent of the overall score. “One of the keywords for this year’s ceremony will be ‘history,’ in a sense that we wish to take a look back at our foundations and glimpse into the future. The other is ‘global,’ seeking to spread the popularity (of Korean musicals),” said Lee Yu-ri, the chairperson of the Korea Musical Theatre Association and a co-head of the awards’ organizing committee. In keeping with the “global” theme, Lee said conferences on Korean musicals expanding activities abroad would be held on the sidelines of the ceremony. She added that actors throughout the timeline of Korean musicals, from the oldest to the youngest, will share the stage for a special performance for the “history” theme. 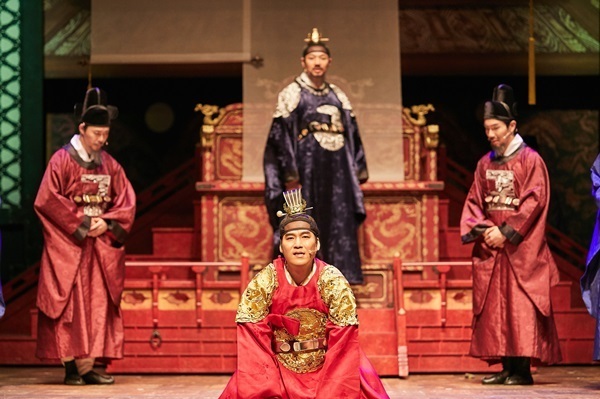 Despite the medium’s strides, the Korean musical has had its skeptics pointing to its relatively shallow pool in terms of creators, which was apparent in the selection of the voters’ group. Some of the nominees themselves, like Shin Young-sook who is up for best supporting actress for “The Grinning Man,” are also voters. Heads of distributing companies are included as well.